Princess Parties are always a favorite with little girls. 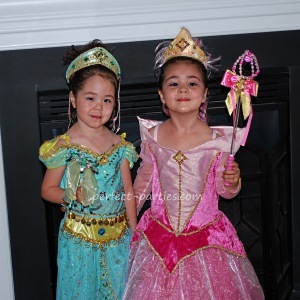 Princess birthday party ideas are always a big hit with little girls. Make it a princess party or select their favorite Disney princess as the theme. There are many items to accessorize your party from favors, plates to decorations. Here is a Disney Princess Party Pack from Birthday Express. 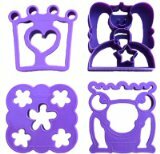 Be sure to also check out Target Dollar Section and Michaels, and Dollar Tree if you have one nearby for small princess favors and decorations. Princess table cloth or pink tablecloth sprinkled with colorful sequins. Princess Balloons. Tie to birthday girl's chair. Theme napkins, plates, cups or pink napkins, plates and cups. Dress up for your princess birthday party! Make sure to take a lot of pictures. You can find princess outfits year round at Target, the Disney Store and many stores during October. We went to Disney World and got their princess outfits at the Bibbity Bobbity Boo Boutique. They used them for Halloween as well and enjoy using it for dress up so it was well worth it! Princess posters or birthday banners. Mylar balloons are available from many sources such as party supply and Dollar Tree. Tiara Place settings for each participant. You can find inexpensive tiaras at party stores and at Walmart's party section. Tiaras, wands, rings and bracelets. Mini nailpolish for older girls. Stickers, notebooks, pencils, marker sets. There are lots of $1 princess items you can find at Target $1 area and Michaels. Click on the pictures to see the cake how to. Rhinestone decorated frames. If there is time take a group photo, download pictures and print one for each child. Rhinestones Frames Take a pic of the birthday girl or party and send home with the frame. Wand Sugar Cookies: Bake star cookies with lollipop sticks in them and decorate with Royal Icing This could also be a party make and take activity. Star Wand Activity for 8 : Decorate foam Wands with glitter glue and rhinestones. "Disney Princess 18"" Pull-String Pinata"